Competitive advantage and growth through customer-centric innovations. Create value that makes a difference in people’s life through product, business, and service innovations, e.g. concept creation workshops for products and services, business model workshops. Build strong competencies in agile ways of working including the various agile approaches and frameworks, e.g. Design Thinking, Lean Startup, Scrum, Kanban, DevOps. Establish competencies for self-organisation and helping the team to reflect and become more effective e.g. 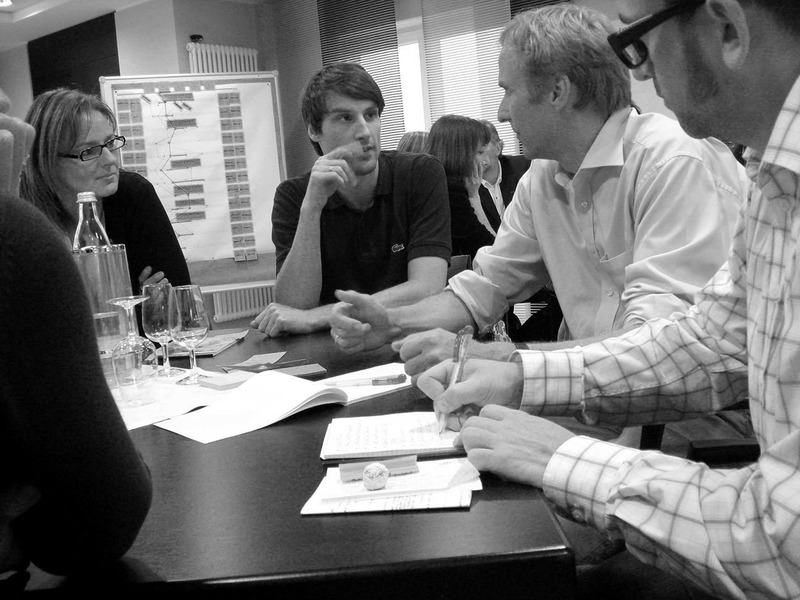 team-based transformation, good retrospective meetings, managing of impediments. Flexible organization through creating the conditions for agile transformation. Agile Transformation is to a large extend a mindset transformation and requires a different skillset on leadership level e.g. growth & outward mindset, management 4.0, servant leadership. Supporting in large scale transformation programs and pilots, e.g. transformation approach, pilot workshops, train-the-trainer. Aligning and steering more than one agile team requires a more profound scaling approach e.g. consultancy on scaled agile frameworks, customizing the best scaling approach. Excellence in choosing what to do. Provide right directions, e.g. strategy definition, business model design, benchmarks and audits. Ensure that you have the right resources on board, e.g. setup innovation & design departments, lead agency selection and steering. Establish high-performing teams, e.g. competence development, career path development, project- or lecture-based learning programs, change facilitation. Improve your support processes and tools to get faster and better results, e.g. agile toolbox, digital assets management systems. 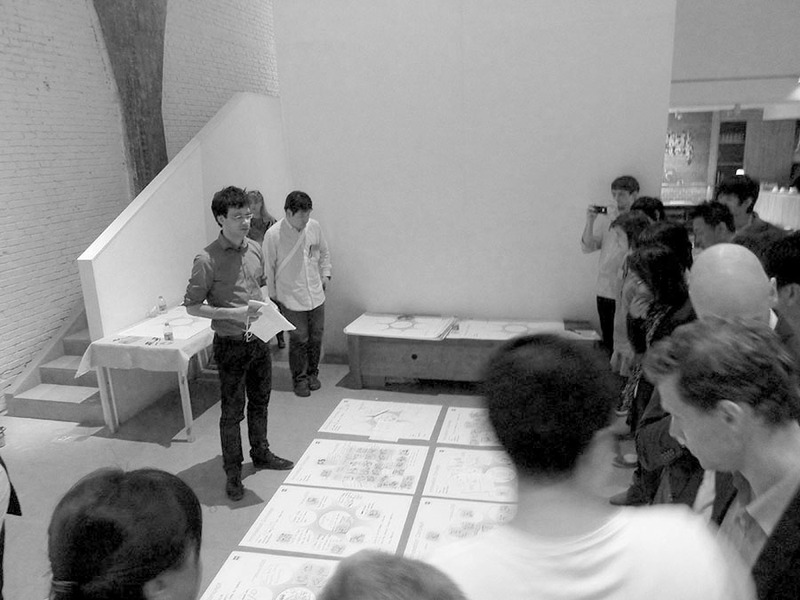 The introduction workshops provides insights and a brief understanding of the mindsets and methods of design thinking. 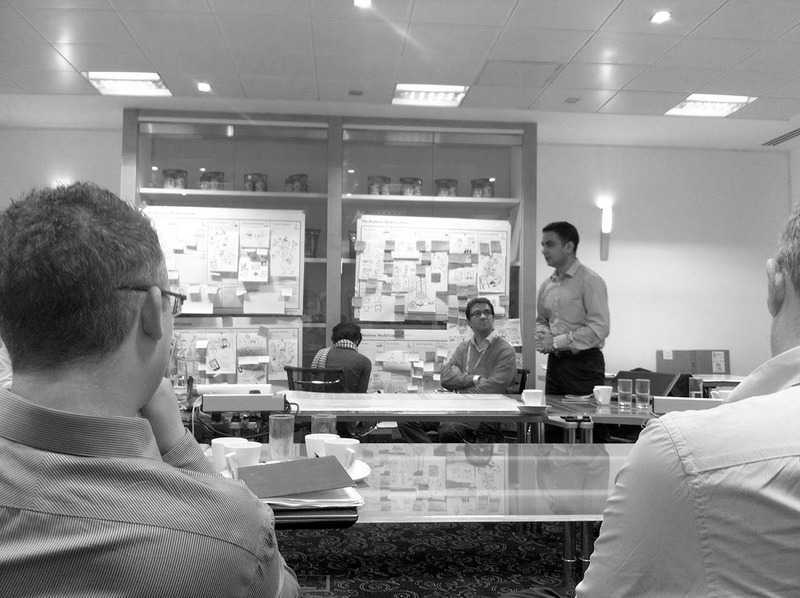 The participants are led through a full design cycle, by analysing, ideating prototyping and validating. Formats can vary from 90 min introductions to one-year academy programs for rolling out design thinking corporate-wide. The design sprints are customized, facilitated series of workshops and coaching sessions that focus on existing real-life problems of the team. It ranges from one-time 2-day sprints on a specific problem, e.g. business model generation, to coaching and facilitation sessions along the complete project development process. Deep dives are for advanced teams that already have experience with design thinking: The format builds up on the existing expertise of the team and deepens the understanding of specific tools and methods. Build a strong brand and focus your marketing efforts, e.g. 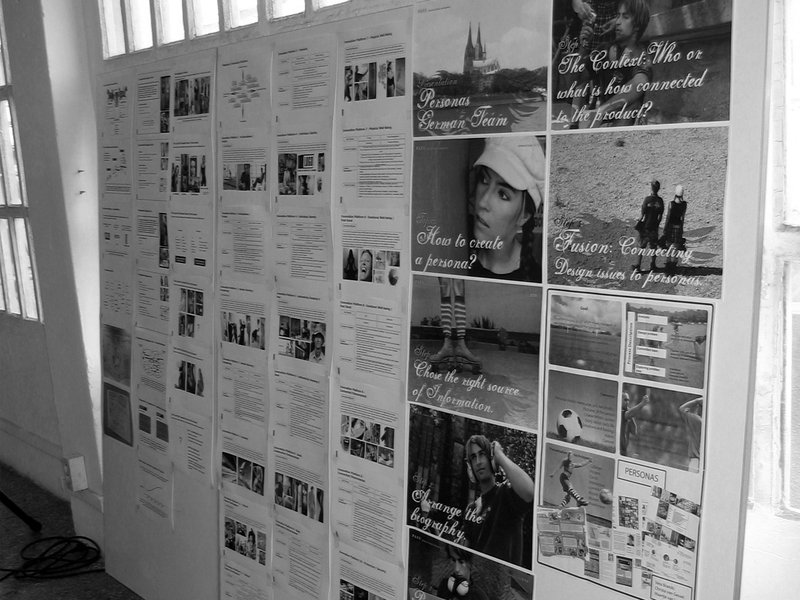 brand strategy and architecture, brand equity assessment, marketing performance management. Audit and benchmark the status quo of design and innovation efforts in your organisation. Develop an departamental strategy to become better than competitors. 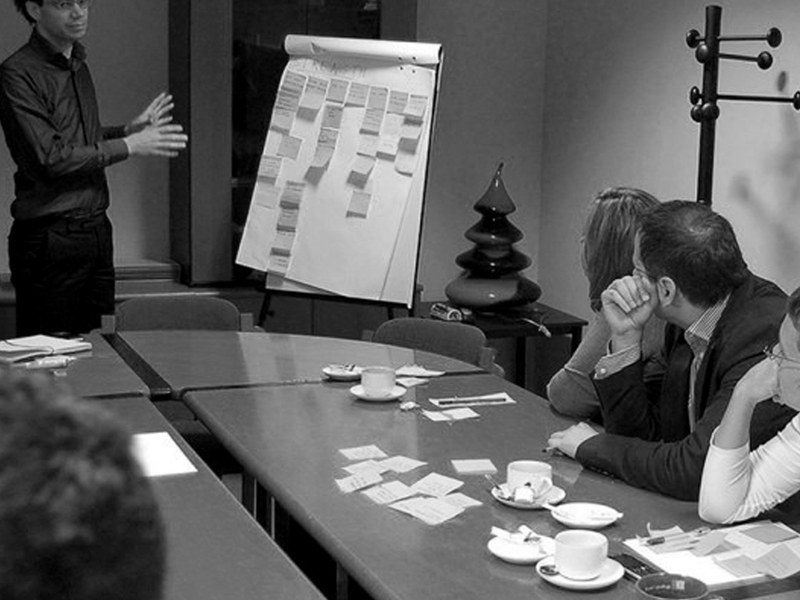 Managing innovation projects and change programmes of innovation initiatives. Coaching light-house projects. Create value that makes a difference in people’s life through product and service innovations, e.g. 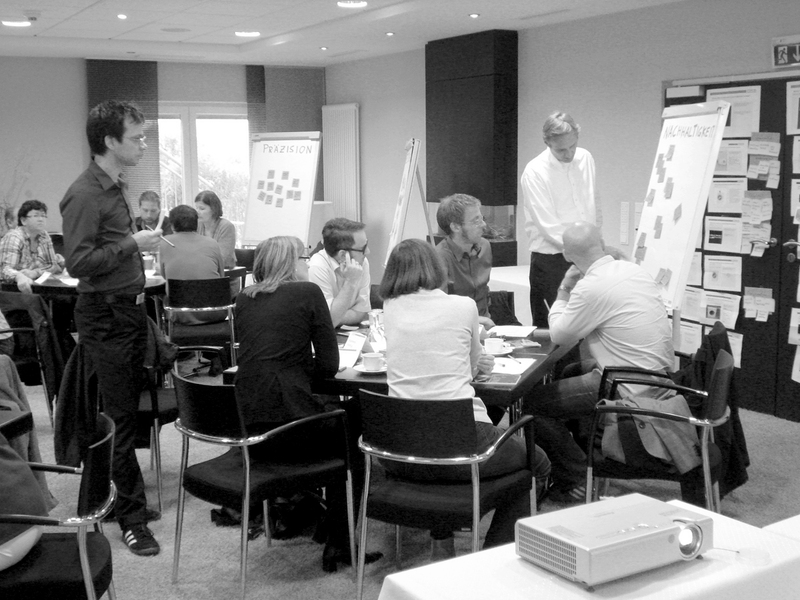 concept creation workshops for products and services, value-driven research. Build a strong business model around your product and services, e.g. Business Model Design e.g. 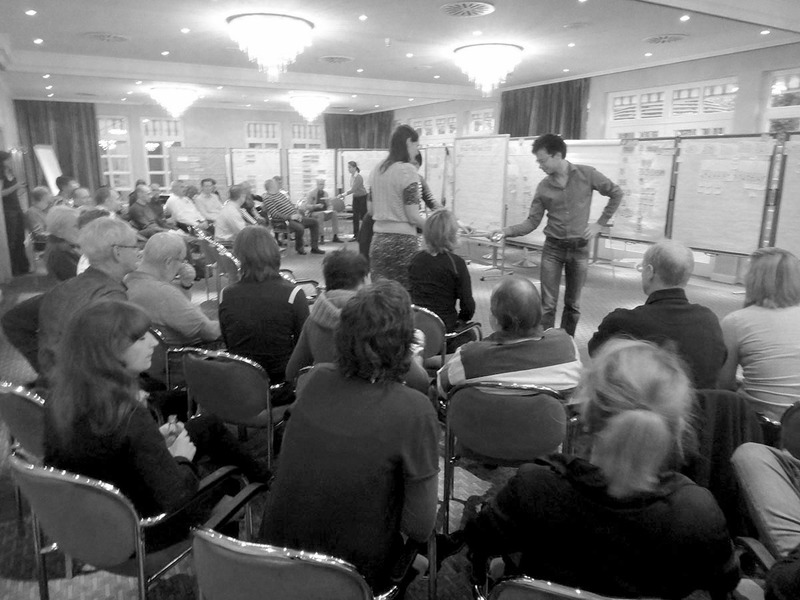 business model workshops, value network creation. Ochestrate all customer-facing touch points to deliver one coherent customer experience, e.g. touch point alignment, customer experience audit. Optimize processes, tools and systems for design and innovation management. Establish an innovation organisation and improve ROI of innovation initiatives e.g. innovation department setup, innovation programs and strategies, competence development, effectiveness and efficiency of processes.